#2 Lakewood Ranch High from Bradenton, Florida (pictured) has a big game next week against #10 Academy of the Lakes (Land O' Lake, Florida). 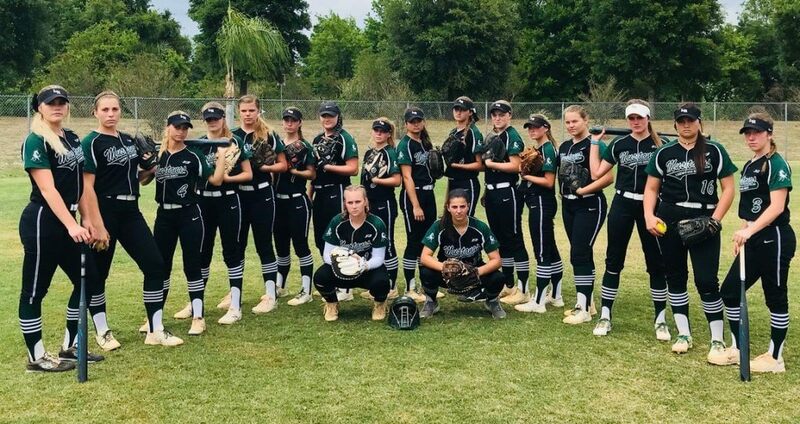 High school softball teams from power states like California, Florida and Texas already have a jump on schools from other parts of the nation due to strength of competition, but at this time of the year they also are getting in important games against each other. There were three that impacted this week’s Extra Elite Eighty national rankings played on Tuesday of this week in California. And if you’re new to national rankings the way they’ve been done for more than 20 years dating back to the days of Student Sports Magazine, we count early week games instead of waiting around to the following Monday to count them. Why put out rankings if you know a team has already lost? Of course, if you’re reading this and a team has lost on a Wednesday, that can’t be helped. On Tuesday in Southern California, national No. 4 Huntington Beach played previous No. 11 Los Alamitos and it was a 7-0 win for Huntington Beach. The Oilers were led by pitcher Grace Uribe with a two-hitter and by Megan Ryono, who ripped a home run and a double. Also on Tuesday, Newbury Park improved to 8-0 with a 7-4 win over an Oaks Christian (Westlake Village) squad that was coming off a title at the Bishop Gorman Kickoff Classic in Las Vegas. If Newbury Park had lost, the Panthers wouldn’t have been put in at No. 40 in this week’s rankings. And in another Tuesday game, Chino Hills and Westlake (Westlake Village) essentially played for a spot in this week’s rankings with Chino Hills getting a 6-2 win. The Huskies still had to drop due to a loss last week to Redlands East Valley, but they would have dropped out if not for the win vs. Westlake. With previous No. 5 Pinnacle of Phoenix (Ariz.) losing twice last week, the one team moving up the most was unbeaten Winter Springs of Florida. The Bears went from No. 12 to No. 7 primarily for getting a 4-0 win over defending Class 8A state champion Hagerty (Oviedo, Fla.). Aynslie Furbush got the shutout on a five-hitter and struck out eight. This week’s highest rising newcomer would be Clarksville of Tennessee. The Wildcats won the Commando Classic tourney, jumped to 11-0 and debuted at No. 37 in the Extra Elite Eighty. They clobbered Dickson County in the final 12-0 and along the way beat previous No. 31 Siegel (Murfreesboro) 8-2 and perennial power Riverdale (Murfreesboro) 1-0. For teams in cold weather states that still hadn’t played yet coming into this week or that may not play for another week or two, those teams continue to be ranked in the same spots they were placed in the preseason.